A cat nurses her kittens inside Palm Valley Animal Center in Edinburg on Monday, May 7, 2018. The shelter expects cats and kittens to continue flooding the shelter throughout the summer months. 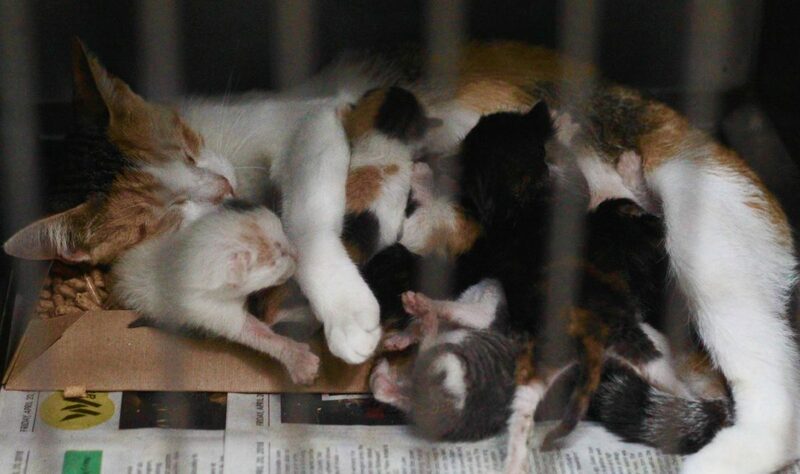 “It’s that time of the year,” said Rebecca Villanueva, director of development at Palm Valley Animal Center, as she walks through one of the three rooms in the shelter full of kittens. As soon as the temperature begins to rise, stray animals begin breeding and the animal shelter floods with young animals, Villanueva said. It’s a problem that affects animal shelters everywhere, but the Valley is especially vulnerable to overpopulation during the summer months. Just last week, more 200 kittens were surrendered, and on Monday at least two cats gave birth on site and another 30 kittens were surrendered. Villanueva expects this to continue through November. “In previous years, we’ve been overrun and we’ve had to result to euthanasia but that’s not our focus right now,” she said. Hundreds of kittens were surrendered to Palm Valley Animal Center last week and they expect to continue seeing them throughout the summer months. This photo was taken on Monday, May 7, 2018, at Palm Valley Animal Center in Edinburg. 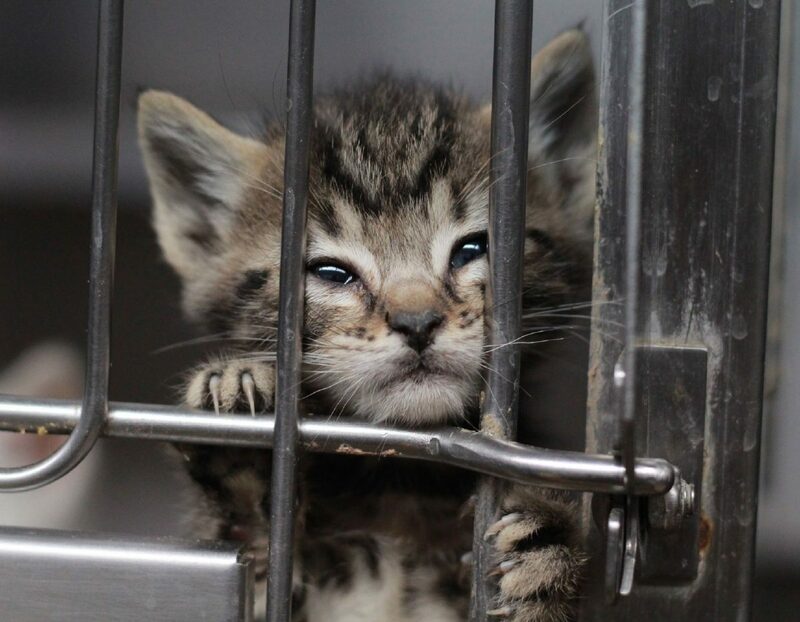 Hundreds of kittens were surrendered to Palm Valley Animal Center last week and they expect to continue seeing them throughout the summer months. This photo was taken Monday, May 7, 2018, at Palm Valley Animal Center in Edinburg. This year, the shelter made a commitment to strive for no-kill status. But they can’t get there alone, Villanueva said. Often, the animals come in with parasites and pre-existing diseases that could put the rest of the population in danger. Villanueva said the shelter is in desperate need of volunteers to help bathe and bottle-feed the animals. Since PVAC went through an internal restructuring in April, their rescue numbers have been “through the roof,” Villanueva said, adding that they’re about halfway through their yearly goal already. 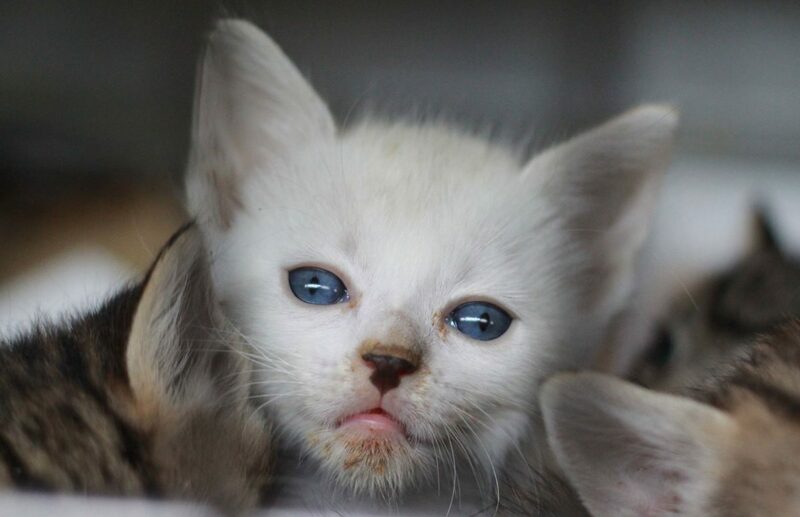 Some of the more than 100 rescue organizations that PVAC works with are in the Northeast, and don’t have the same problem with kitten overpopulation. But in order for those rescues to secure transport, some kittens will need to stay somewhere for at least a week while the rescues come down to the Valley. For that reason, PVAC is calling on the community to help foster animals, Villanueva said. Those wishing to foster will make a “short-term commitment” and hold an animal for about a week while a rescue comes to transport them. Often, the excuse Villanueva hears from people who don’t feel they’re in a position to foster animals is that they “don’t have enough space, or they can’t give them enough time,” Villanueva said. “Anything you have to offer is probably bigger than this,” she said, pointing to a kennel holding a nursing cat and about 10 kittens. A spare bathroom, closet or even a cardboard box could suffice, and “Mama cats are the easiest because they do all the work,” she added. In February, images of animals at PVAC in disturbing conditions surfaced and brought widespread criticism to the shelter. Since then, with help of organizations like Maddie’s Fund and Austin Pets Alive!, the shelter has made “significant changes” and has seen a spike in their live-release rates, according to Villanueva. Though, she said, that’s mostly attributable to the help of out-of-town rescues. The shelter currently transports animals to San Antonio twice a week. They’re goal is to get to point where they can make daily trips, which will cost them $58,000 for new vehicle and a full-time driver.